What is a Civil 3D Traverse? Recently, a client came to me and was confused about the traverse in Civil 3D. In the dictionary, traverse (noun) is defined as something that crosses, obstructs, or thwarts; obstacle. In Civil 3D a traverse is used by surveyors in the field as a series of established stations tied together by angle and distance. A closed loop starts with a known point and ends at the same known point. This point has been previously determined before setting up a survey in the field. This is the most common type used in the field. This may be used for boundaries, woods, and ponds. A closed connection starts with a known point and ends with a known point. These points have been previously determined before setting up a survey in the field. This is the second most commonly used type of traverse. An open traverse starts with a known point, but ends with an unknown point. This traverse extends long distances without the opportunity for the checking the accuravy of the on-going work. Useful as a control for preliminary and construction surveys for highways, roads, pipelines and electricity transmission lines. This is the least common in the field. I hope this helps you decide which you need to use. 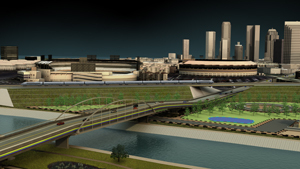 If you have any questions about Civil 3D or civil engineering workflow, let me know or visit our website.